Create your own branded labels with your business name and logo. 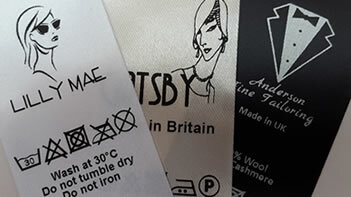 Choose the label style, fabric colour and which ink colours to use. Usually shipped within 24 hours of design approval. 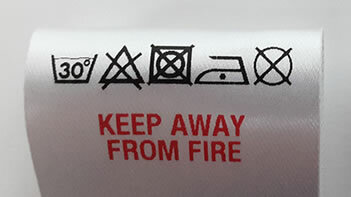 Include fabric composition, wash care instructions and safety warnings if required. 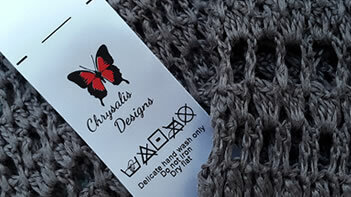 We can also add your brand and sizing to these labels if you prefer to have a single label in your garments. 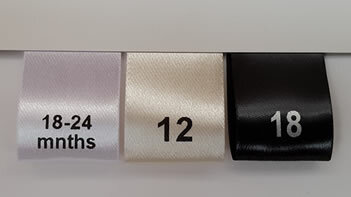 Size Tabs are usually designed to fold as a loop. 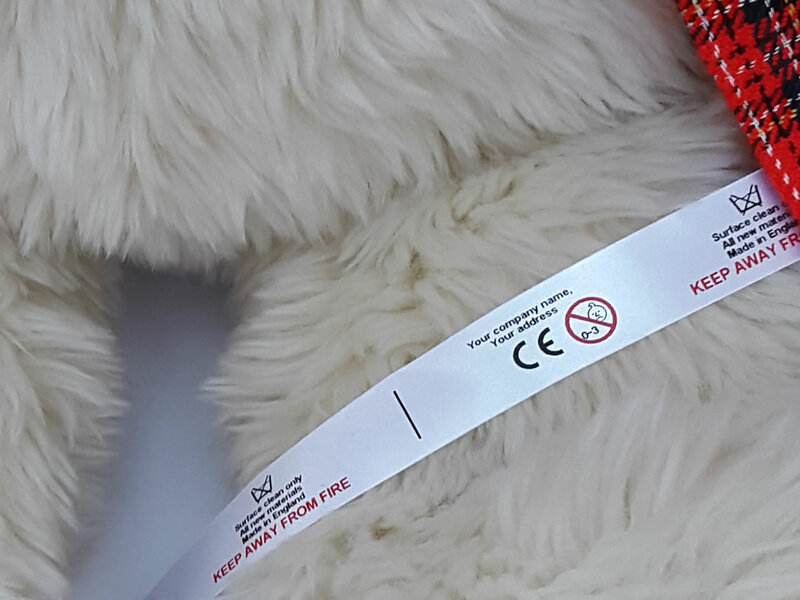 All labels are custom made to include your sizing requirements. These are available in white, cream and black fabric. This is a legal requirement if you are selling soft toys. 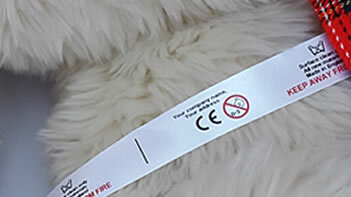 We can add the CE mark, relevant contact information, fabric content, care instructions and safety warnings. 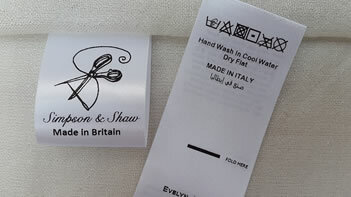 Specialising in the manufacture of printed garment labels. 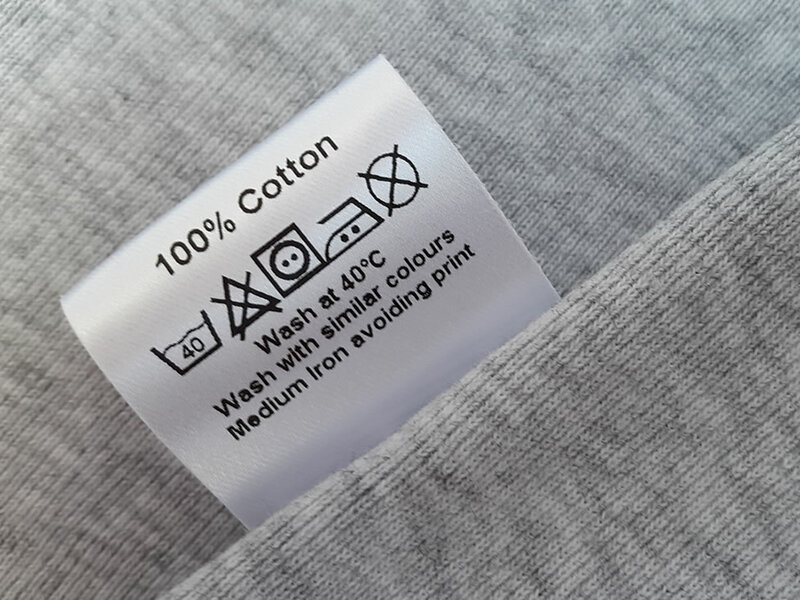 We make garment labels to the highest quality using digital print methods. This allows a very quick turnaround and minimal waste. All of our products are custom made to your requirements. Just call us on 07787 177833 or send an enquiry and we will turn your ideas into beautiful labels. We pride ourselves on our customer service and are always happy to help wherever possible. Please feel free to contact us if you have any questions. The materials and methods we use have been developed and thoroughly tested by us over the last 20 years. We source materials from the UK where possible. Our main fabric supplier is just 4 miles away and our ink supplier is in Wales. Tell us about your project and we will give you advice on the type of labels to use, which fabric and the best print colour to use. When you call us, we guarantee you will speak to someone and will answer all your questions. 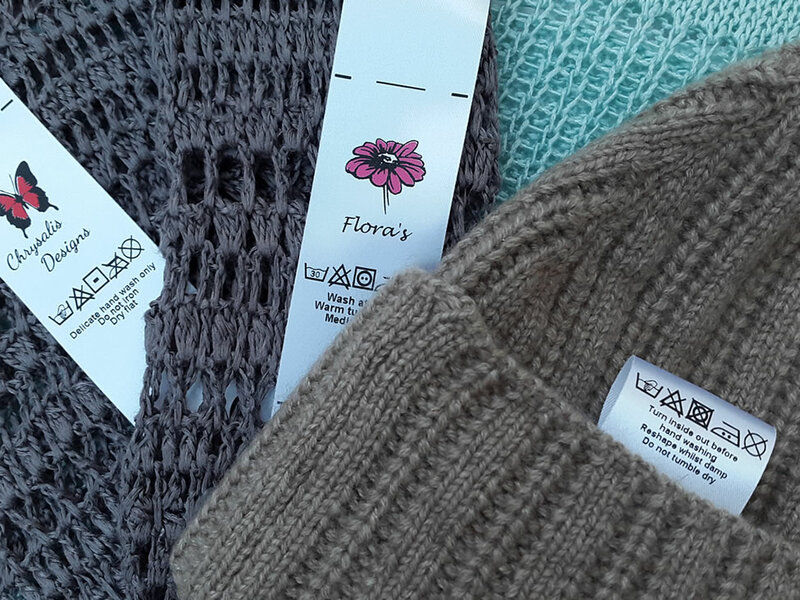 We accept small orders from mums at home, home & business crafters to small and large fashion houses. We are based in the hills of Yorkshire with over 20 years experience. We deliver all across Europe and Internationally. All fabrics and ink are locally sourced. We usually complete your order and post them to you on the same day or within 24 hours. Build a great relationship with one of our experienced team members who are happy to give you advice. 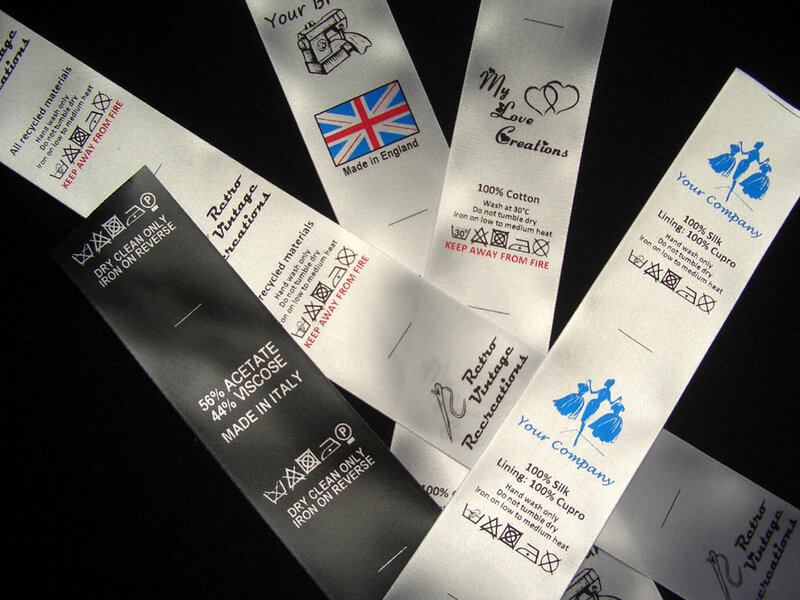 We are very flexible and will discuss all the options with you to create the perfect garment label for you. We thrive off our excellent customer feedback. Read some of them here. Choose which label style you would like. Single Sided, Double sided or Loop-fold. 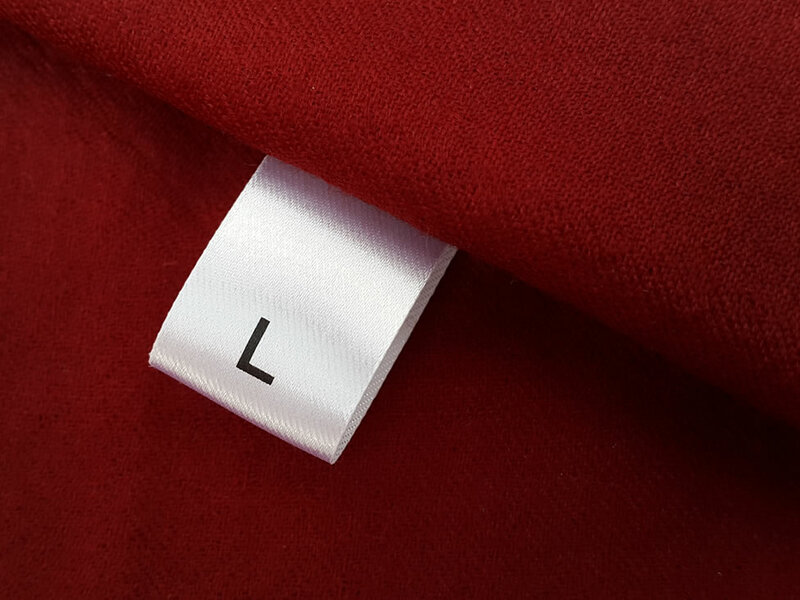 Select a fabric colour for your garment label. From white, cream or black. 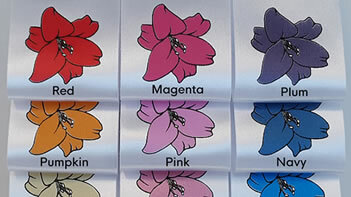 Finally choose the ink colour – 1, 2 or 3 colours (maximum) from our range. Enquire online or call us on 07787 177833 to speak to our label printing experts for friendly help and advice. We pride ourselves on our customer service and are always happy to help wherever possible. Please feel free to contact us if you have and questions.